Why is your choice of web hosting service so important? Well, a host is essentially the power cable which keeps your website plugged in and available to browsers online. 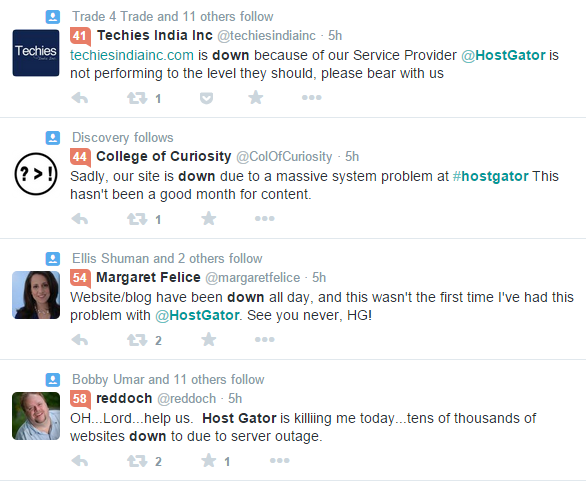 Things can get really ugly when something goes wrong with the hosting service, leading to downtime on all the websites they host. …and the list goes on! As you can imagine, there are thousands of people out there who rely on their websites being up and running in order to do business so any outage is costing them both time and money! 1. You get what you pay for! 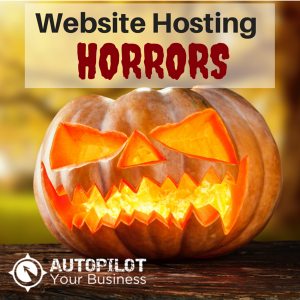 This is one of the most important rules to remember when looking for hosting. That provider offering hosting for $3 per month? Don’t expect to get great service out of them or decent amounts of up-time for your website. The chances are that at the low price end, your website will be on a shared server with possibly thousands of others. What does this mean? Possibly slower load speeds for your website which is not good for business (just see this article from Kissmetrics for an infographic which shows you how load time can impact site abandonment). We have found recently that load times of more than around 2 seconds tend to result in abandonment. Secondly, we also know that Google ranks faster sites higher in the search rankings, so even if your site has the most awesome content ever, you could find yourself languishing down the ranks due to slow speed and high abandonment rates. In saying you get what you pay for, that doesn’t necessarily mean the most expensive hosting is the best. Check out reviews for hosting providers and you will get an idea. (As you can see from the Twitter feed above, customers tend to be very vocal if there are problems!). Where possible, host where your target audience is located – so if you are an Australian business targeting Australian customers, look for an Australian host first. There are a couple of advantages to this: first you tend to have quicker load speeds when you host close to your target audience and secondly, you could find it easier to deal with a local host for any administrative needs – they should be more accessible to you over the phone for example. Many hosting providers will impress you with seemingly outstanding amounts of disk space available to you when compared to other providers. After all, 100GB or “unlimited” disk space sounds impressive right? The fact is, for the average website which is not hosting a whole lot of video or music files, you will need nowhere near this amount of disk space. To give you an idea, this website is currently using about 3GB of disk space and most of that is actually taken up by email. Many of our client’s sites use 50MB – 400MB of space – so don’t let disk space bear too big a weight on your hosting decision! Shared – (the cheapest) this is where you will share a server with any number of other websites. This could be absolutely fine for you if you have one website, but it becomes a problem if that server isn’t managed well and is overloaded. This is where you could experience problems such as downtime or lack of service. There could also be limits to how many visitors your site can have at once so if you experience big spikes, shared is probably not for you. Reseller hosting – this allows users to resell hosting space to other users, a bit like renting a floor of an apartment building. The host is still responsible for managing and maintenance. VPS (Virtual Private Server) – This is part of a server that has been partitioned off to be dedicated to the use of one client. VPS clients will have very little connection with any other clients on the same server, but will either need to know how to manage a VPS, choose an account which includes VPS management or hire a server management company. If you have a bigger, regularly trafficked site (such as the website for a big national brand), this may be necessary for you. Dedicated server – (the most expensive). If you are Amazon or eBay you probably need this option (or more than one dedicated server). This is like leasing the entire apartment building and you get to decide who (if anyone else) gets an apartment. Like VPS, you will need to hire a server management company if you don’t have in-house capabilities. Data transfer or bandwidth is the amount of bytes transferred from your site to visitors when they browse your site. Generally speaking, there is ALWAYS a limit to this even if the host company says “unlimited”. Check the fine print carefully and you will usually find at what point a limit comes into play. There are many stories out there of people who wrote a very popular blog post, experienced a sudden spike in traffic, then found their website down due to breaking the limits of the “unlimited” bandwidth. As a final note on speed, if you want to check out your site speed (or someone else’s), as well as important website data such as up-time, there are a few online tools that will do it for you. Check out Pingdom for a full range of website monitoring tools. Lastly, when looking for a website host remember that up-time is one of your most important requirements of them. Try to find one which offers a guarantee of at least 99% uptime, while in practice they should be up at least 99.5% of the time. The host should be responsible for refunds if it drops below that, but good luck trying to claim anything such as lost business revenue!